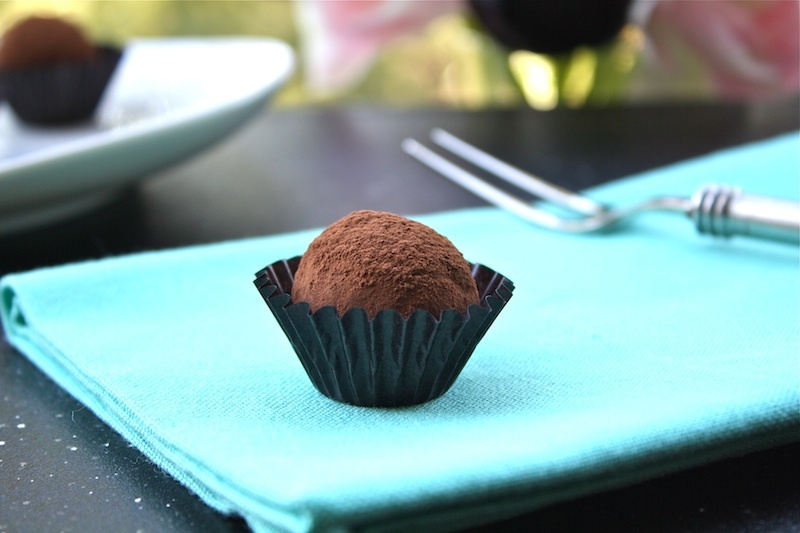 This is a super easy Chocolate Truffles recipe that my daughter made for me on Mothers Day. She said she learnt how to make them from a Japanese cooking website. There is no cooking involved here, apart from melting the chocolate. Make sure you use the best or your favorite chocolate for this recipe. Have fun making them. Pour the boiling water in a large mixing bowl. Then place a medium-mixing bowl on top of the boiling water. Add the cream and warm thoroughly. 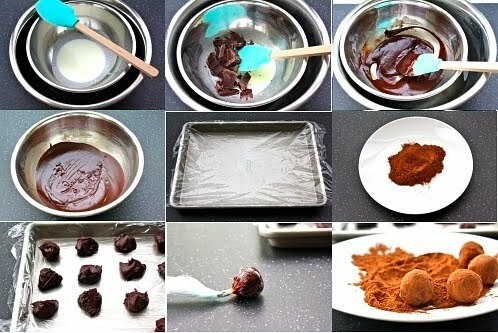 Mix in the chocolate, and stir until melted. Then add the oil and stir until smooth. Cover and freeze just until firm enough to mound in a spoon, about 40 minutes. Line the bottom of a baking sheet with a plastic wrap. Scoop out the filling by tablespoonfuls and drop onto the sheet, spacing them evenly. Cover and freeze until almost firm but still pliable, about 30 minutes. Spread the cocoa on a flat plate. Place each chocolate mound into a piece of plastic wrap and roll in between your palms into a smooth ball, then roll in cocoa powder to coat evenly. Awwww Angie, you must be feeling very sweet as of now. Filial daughter there to make truffles for Mummy on Mother's Day. I think chocolate is a great gift and a good show of love, it's just so dark, bitter and mysterious. 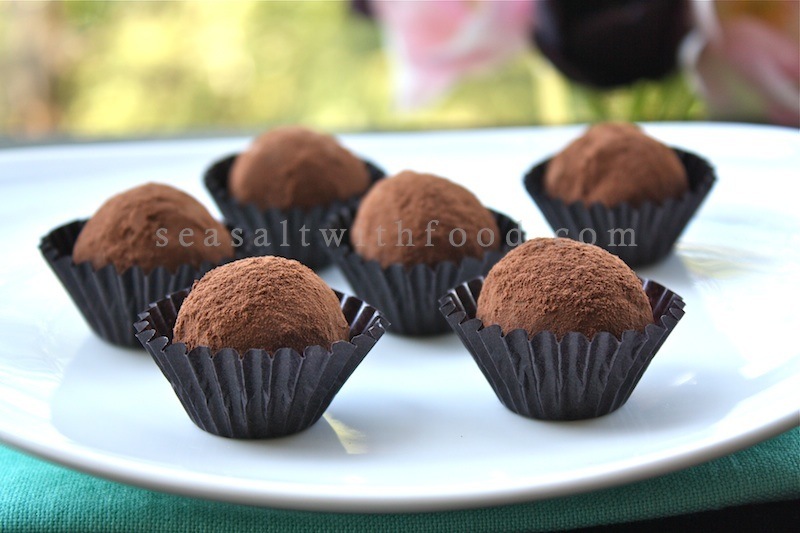 never made truffles at home. But it sounds great at not difficult at all. nice pics by the way. love the photo collage of truffling-making. They'll be even more decadent if you try using unsalted butter instead of the oil! @Anonymous: Butter sounds good to me. Thanks. Lovely and amazing! Such temping little delights. Best 360 Double Chocolate Vodka Martini! I made these a couple of days ago and boy we couldn't stop gulping all of them down before they were even firm enough. Loved them. I rolled some in finely crushed hazelnut waffles, and they were good.